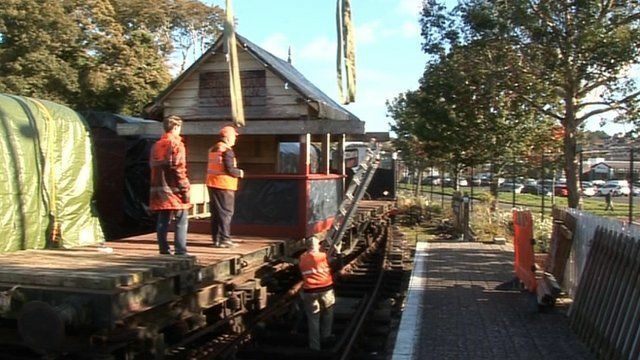 A railway signal cabin that once languished as a garden shed in County Fermanagh has taken pride of place at a railway museum. The Bundoran junction signal box will take pride of place at Downpatrick and County Down Railway Museum when the project is complete. BBC News NI's Louise Cullen reports.